If you suspect that your utility bills are higher than they should be, if your energy costs have suddenly increased, or if you just want to start saving money, you could benefit from a home energy audit. This quick process often reveals simple problems that are easy to fix. Start by gathering your electricity and fuel bills. If one is significantly higher than the other, you’ll want to focus on the factors that impact it most when considering energy conservation remedies. Check the temperature of your water heater. If it’s any higher than 120 degrees Fahrenheit, it’s costing you unnecessary energy. Plus, it’s putting you at risk of scalding your hands every time you run hot water. Also, check if your water heater has an insulating blanket. Air leaks may be present around windows, doors, plumbing fixtures, recessed lights, or unfinished spaces, such as behind closets. Search for drafts on a windy day. Pay attention to your energy-use habits. Do you turn off the lights when you leave a room? If you struggle to remember, consider installing timers, photocells, or occupancy sensors. Another good habit is to unplug or turn off appliances when they’re not in use. If you’re unsure about running your own home energy audit, schedule an assessment through your utility company or state energy office. Professionals will be able to discover problems you may never have found and will carry out tasks more effectively. For instance, they will use a blower to find cracks that may be invisible. They can also offer you expert advice about what changes you need to make. After your home energy audit is complete, you will know what is contributing most to your energy expenses. In some cases, the action you need to take next will be obvious. 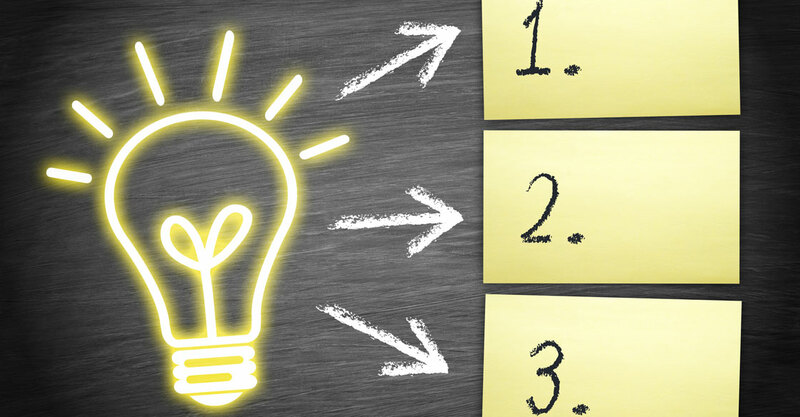 Other times, it is more complex — you may need to think creatively about how you can improve efficiency. The following are a few ideas to get you started. Energy-efficient windows prevent climate-controlled air escaping from your home. To go a step further, choose Low-E windows. These will also stop the sun from heating your home while having no impact on how much light enters. Smart devices allow you to manage energy usage while creating optimal comfort and security in your home. For instance, a smart thermostat can start cooling your home just before you arrive. Another option is smart lighting. You can use this in the evenings to turn on a few strategic lights to make it appear like someone is home. You need adequate insulation throughout your home. This includes in all the walls and ceilings as well as in your foundation or basement. Structured wall and roof insulated panels are best, as they’ll create a thermal envelope around your home. To further insulate your home, add caulking to fill the gaps between walls, pillars, and other stationary parts. Use weatherstripping for moveable parts like doors and windows. 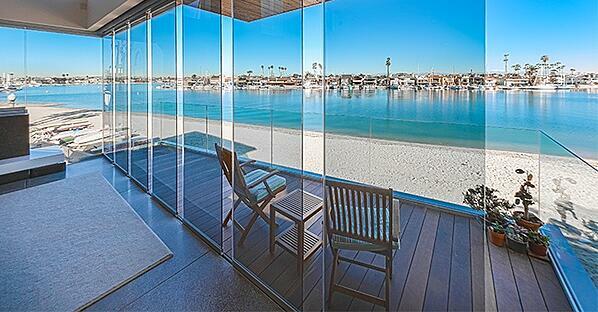 By turning a wall into a sliding glass door, you allow more light to enter your home. This reduces your reliance on artificial light sources. You can use sliding glass doors in various places in your home — for anything from patio doors to interior glass walls. 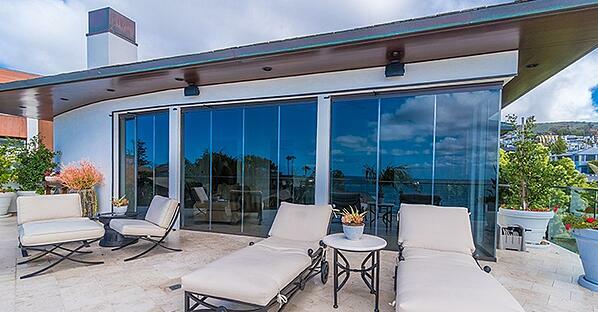 Indoors, sliding glass walls allow you to create a flexible space without darkening your home. Sometimes, simply cleaning your furnace, air conditioner, and heat pump filter is sufficient to decrease energy usage. All these pieces of equipment should receive professional maintenance every year. However, old HVAC systems are always less efficient than newer ones. Consider if some upgrades could be worthwhile, always picking new equipment with Energy Star labels. High-efficiency refrigerators, washing machines, dishwashers, and light fixtures are all valuable investments. Again, you must choose appliances with Energy Star labels — this will enable you to reduce your energy bills by up to 30 percent. If you have any appliances that are more than eight years old, it’s time for an upgrade. When you next update your computer, opt for a notebook computer with a docking station over a desktop computer. Also bear in mind that a liquid crystal display (LCD) or LED monitor will use less energy than a cathode ray tube (CRT) monitor. Even with an energy-saving equipment, you should still turn off the monitor when it is not in use for more than 20 minutes and the computer itself if you won’t be using it for more than two hours. Change your incandescent lights for compact fluorescent lights (CFLs) or light-emitting diodes (LEDs). At a minimum, you should switch all 60 to 100 watt lightbulbs that you use frequently. A small solar electric or photovoltaic system can provide you with reliable, pollution-free energy. With enough solar panels and a system to convert power into battery energy, you may be able to receive your entire home electricity supply from solar. The simplest way to cut down on water usage is to change to low-flow shower heads and to install faucet aerators. If you are upgrading any appliances that use water, check for a WaterSense label. The right landscaping will reduce your need for air conditioning. Planting thick foliage near your windows, walls, and roof can help deflect hot winds in the summer. It is particularly important to plant trees and shrubs at the west side of your home. Even if you need to spend to reduce your consumption of energy, water, fuel, and other resources, the payoffs will be worthwhile over the long term. You’ll start spending less immediately, create a more comfortable living environment, and develop a greener home with a higher property value.